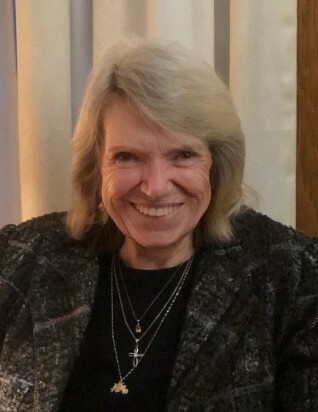 Shirley M. Vinge-Hyer, age 75, passed away peacefully on Saturday, March 23, 2019, at her residence in Lafayette, Colorado. She was born November 17, 1943, in Spokane, Washington to Alvin J. Vinge and Irene M. Reidt. She remained in Washington until graduating high school. Shirley resided in Lafayette since 1998 after moving there from Anaheim, CA where she lived for 30 years. Throughout her life Shirley held several jobs, her favorites being a product assembler in the medical field and a secretary for Carl Erlinger at Erlinger Funeral Home in Lafayette. She was a very crafty woman as she enjoyed simple things like cake decorating, sewing, refurbishing furniture, and fixing up anything that she believed needed the “Shirley touch”. She loved to read and was known to be a very stylish, kind woman. Shirley was always looking for something to do and although some knew her to be quaintly stubborn, that was just her way of letting you know she was ready to work and be creative. Shirley deeply loved her grandkids, nieces and nephews and truly enjoyed watching them grow and being a part of their lives. Family and friends are all invited to celebrate the beautiful life of Shirley Hyer in two separate Memorial Services, one taking place, Friday, March 29, 2019 at 6:00 p.m. at Faith Bible Chapel, 6250 Wright Street, Arvada, CO, the other taking place the next day on Saturday, March 30, 2019 at 11:00 a.m. at Erlinger Funeral Chapel, 1316 Centaur Village Drive, Lafayette, CO. Shirley was a wonderful woman and will be missed tremendously by those whom knew her best.